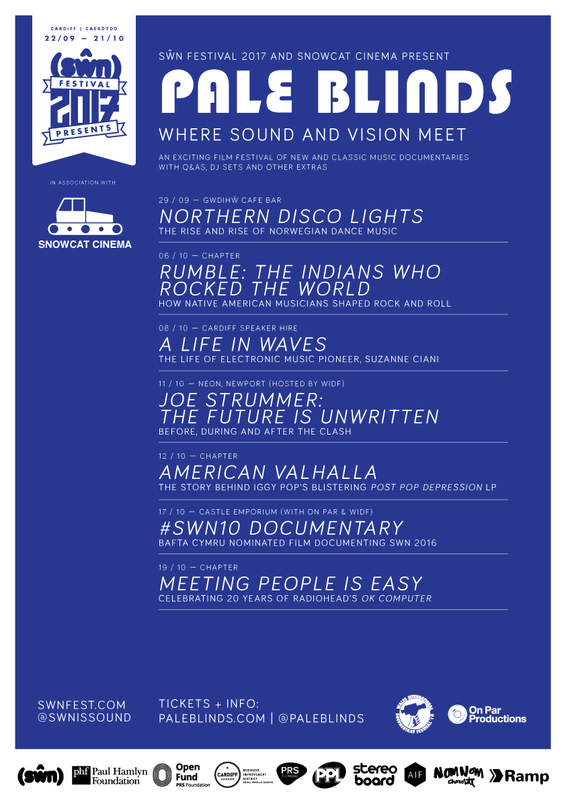 Pale Blinds is a collaboration between Swn Festival and Snowcat Cinema - bringing an exciting programme of new and classic music documentaries, and other special events to Cardiff and the surrounding area. In 2017 we screened some of the year's most eagerly anticipated music documentaries alongside some old favourites. We included filmmaker Q&As, live DJ sets, and other special features. We'll be back soon with more audio/visual treats. Sign up below to receive news and updates from Pale Blinds.